When it comes to storing refrigerated and frozen goods, you might think it’s all about the temperature. And you’d be right — it’s the ability to maintain a consistent, chilled climate that puts the “cold” in cold storage, after all. But next to temperature control, lighting is, for us, one of the most important aspects of maintaining a quality cold storage facility. One reason lighting is crucial is because order pickers need to be able to quickly and accurately read boxes, dates and order sheets. But it’s the safety aspect of good lighting that can’t be overstated. Forklift drivers need visibility to safely maneuver tight quarters, and it helps our workers to see where and how they’re stacking boxes and pallets. A well-lit facility actually helps preserve the shelf-life of food and produce in storage because the quality of the product is always visible, numbers and dates are readable from the forklift and poorly stacked food and produce get fixed before they get damaged — or damage other products below. It may surprise the casual observer that lighting can consume up to 15 percent of a refrigerated warehouse’s electricity budget. Lighting sprawling cold rooms can be costly, but skimping is not an option. One way we achieve cost-effective lighting in our main Puyallup facility is with windows high on our exterior walls that bring in ambient light. Reflected off the ceilings, the light gets distributed across the warehouse, allowing workers to see products and paperwork. Cold storage facilities like Washington Cold Storage are also cutting costs by using motion-sensing LED lighting systems. Other facilities are conserving power and improving lighting by adding special materials such as reflective shake in concrete flooring, which can improve lighting by as much as 80 percent. The method used is less important than the outcome of maintaining a facility in which visibility is a top priority. 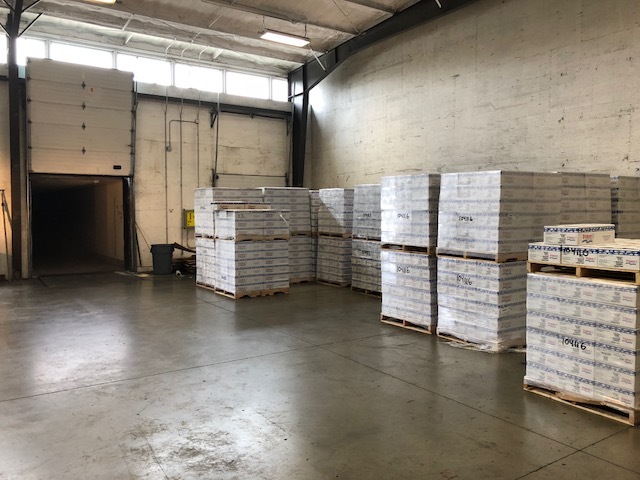 And if you have trusted Washington Cold Storage with your cold product, you can rest assured it is not sitting vulnerable in some dark corner, but is well-lit and highly visible, as it should be. Is There Such a Thing As Too Much Cheese?